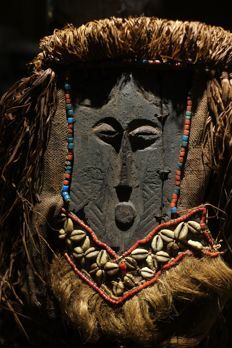 Art of the Kuba: Journey to a Majestic Past is a 30 minute program about the art and culture of the Kuba People of the Democratic Republic of the Congo. 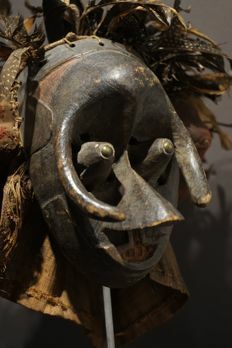 The show highlights the exhibit, held at Governors State University's Visual Arts Gallery, and features the rich textiles, intricate beadwork, ceremonial masks, and historical photographs of the Kuba. 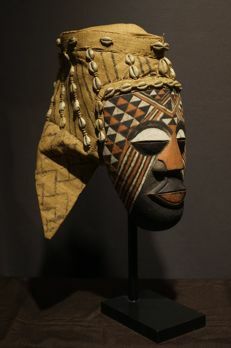 An interview by GSU Art History Professor Prof. Art Bourgeois of Prince Ngoloshang Mbecky of the Kuba Royal family is interesting to listen to to understand the meaning of those masks and objects. 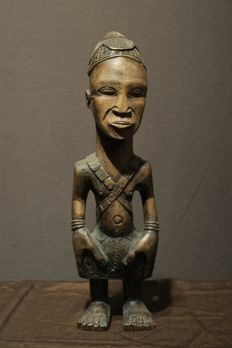 I have always been fascinated by the Kuba, due not only to their rich culture but also the colonial connection that Belgian has with the Congo. 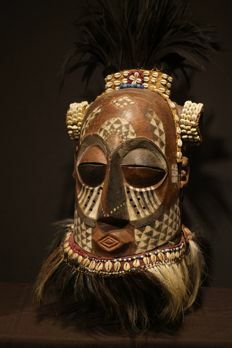 I like their fine carvings, textiles and expressive masks, as well as their rich history. 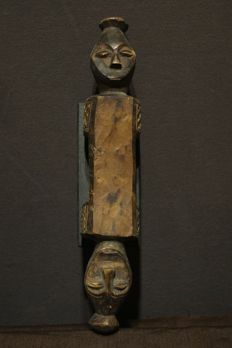 I have been making a collection of superb pieces over the past two years, and now I am presenting them all to you on a Catawiki auction that will end in 9 days time, on saturday evening (around 8 pm, Belgian time). 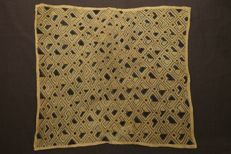 I have put low start prices and estimates on all pieces; I hope they will interest you enough to place a bid, and let one of those treasures become a part of your home and collection. 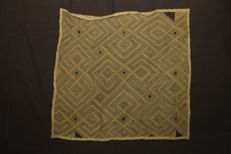 Please be aware that you will get free worldwide delivery and a complete description for every piece. Also note that I sometimes include an extra free object in the package! 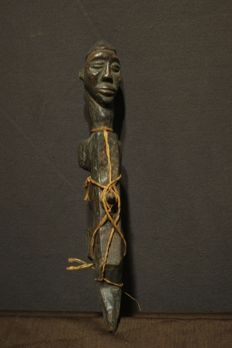 The catawiki auction costs are very low compared to other auction sites – only 9% of the hammer price. 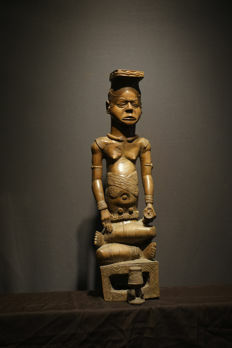 read more about the Kuba Ngady ..
She worked with many museums and major private collectors. Entered the Norden Collection from “Jo <the> Buck” a long time ago. H= 33 cm, 43 cm on custom stand. 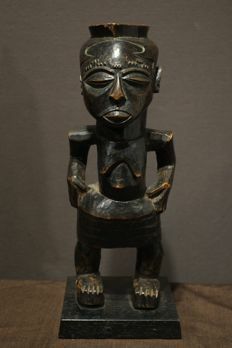 A fine Lele Itumba friction oracle, half man, half animal. 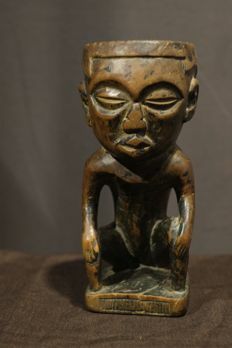 It's not often that you see complete seated figures with the hands on the knees. 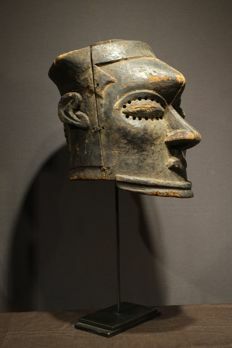 Those mortars were used to grind magical substances, tobacco or hemp, and were considered to be prestige objects that elevated the owner’s status. 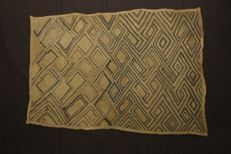 They were usually the property of the Nganga (healer). H= 18.5 cm. 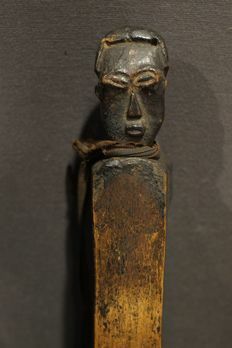 Wood, black pigments, fine patination , and extensive signs of use. 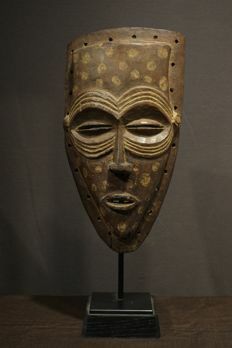 Provenance: Daniel Frederick, who was a workshop manager at Titan in Africa, and a major collector of Kuba materials. 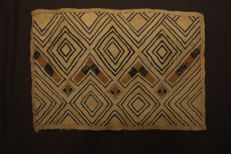 Collected in the 1920's, this Kuba complete costume dates to the late 19th century. 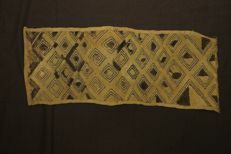 Provenance: Paul Gilman collection. Paul is a retired Belgian collector living in Liege, Belgium. Total H= 160 cm. 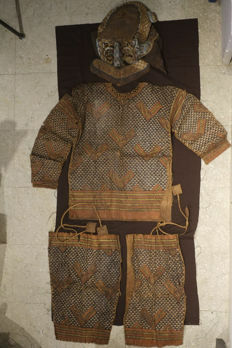 mask= 40 cm Legs = 2X 55 cm Shirt H=70 cm L = 160 cm. 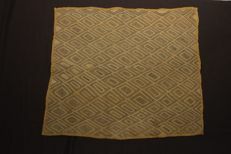 Wishing you a happy bidding!